After a long and challenging day, there’s nothing quite so soothing as sinking into bed with soft pillows tucked under your head. It’s incredible to relax in bed and be comforted by the smooth and silky feel of a great pillow case. Microfiber Pillowcases in 92 GSM microfiber fabric offer a whole new crease in new pillowcases. These amazing luxury pillowcases provide a wonderfully soft feel that resists wrinkling, for a natural feel that is luxurious as can be. It’s no wonder that these durable, long-lasting yet incredibly comfortable pillow cases have attained a 98 percent approval rating from hotel guests who slept on them in a hotel in Branson, Missouri. These quality pillowcases keep you cool with their soft breath ability so that you can settle in for a fantastic night of sleep.There’s no doubt these luxurious cases created with a sleeper’s comfort in mind. A special brushing technique is used in the finishing stages of the cases manufacture, to soften the fabric further and give it extra breath ability. These microfiber pillowcases dry faster and are less expensive than cotton or cotton blend cases of comparable quality, so they provide a lot of value at night and over the long term. These incredible pillowcases are made up of 100 percent microfiber polyester, and they are made to stay soft and comfy feeling wash after wash.
It’s a good idea to use a dryer sheet to help prevent static cling during the dry cycle. These cases are available in Standard and King size, so there’s something to please every kind of sleeper. Hospitality linens need to be even more attractive and certainly much more hygienic than those used by customers in their homes. Hospitality linens also need to be environmentally friendly. Here are some types found in hotels, restaurants, and other establishments.Comforter and Coverlet sets are often made up of four to seven pieces. They're commonly made of microfiber, and the comforters are stitched in a way to prevent the filling from bunching up during washing and drying. Coverlet sets come with bed skirts, shams and accent pillows. They come in many colors and patterns to fit the decor of a hotel or private hospital room. Though the manufacturer often recommends dry cleaning, these sets can be machine-washed on a gentle setting. Sheets and Pillowcases can be made of microfiber, 180 thread count cotton or percale. Sheets are fitted or flat and usually sold two dozen per set. They are made for twin, queen and king sized mattresses and are a bit oversized to allow for some shrinkage in the wash.
Their cotton fiber makes them easy to clean.Environmentally friendly pillows are now created from a type of polyester made from recycled PET bottles but are so soft that the user would never know this. Hospitality pillows come in cases of 10, 12, 20 or 24 pillows in standard, king and queen sizes. Zippered pillow covers are available.Towels, shower curtains, shower curtain liners, and rugs are available for the bathroom. Pure white and earth-tone towels come in 100 print cotton or cotton polyester blend and can have attractive selvage edges or cam borders. They're sold by the pound and come in a hand towel, wash towel, bath towel and bath mat size. Hospitality linens for the kitchen include kitchen towels, dishcloths and pot holders. Placemats, napkins, and tablecloths are also for sale. Table cloths can be square or round to fit any table and come in colors from white to cream to black. There are numerous different ways to shop for bath towels in widespread. Many people choose to take care of their bulk bath towel needs on the Internet. That's because many prominent Internet retailers sell scores of bath towels altogether. Wholesale bath towels are suitable for many different kinds of business establishments. These frequently include hotels, bed and breakfasts, nursing homes, hospitals and other types of care facilities. Hospitality businesses often require many choices in sturdy, durable and well-made towels. Wholesale vendors often provide customers with many choices in bath towels. Bathroom towels often are mixes of materials such as polyester and cotton. There are also many bathroom towels that are made entirely of cotton, too. Bathroom towels come in many sizes. Hand towels are smaller and are suitable for people who want to wipe their faces down gently after washing. They often weigh around three pounds. They're often 16 by 27 inches in size. Wider choices in hand towels are available too, however.Shoppers can also look for bath towels that are suitable for post-bathing drying needs. These towels often weigh around 17 pounds. They're often approximately 27 by 56 inches in size. Businesses should always carefully consider their bath towel size requirements before making any purchase decisions. Bath towel sizes run the gamut.White towels look pristine, immaculate and inviting. That's why they're so common in business settings. Towels in such settings as hotels tend to be pure white. They often feature attractive yet subtle design elements, too. Elegant hemmed edges may frequently be seen on towels in hotels. These sides can give otherwise minimalist towels nice and pleasant finishing touches. People can explore many options in wholesale bathroom towels that aren't white, too. A couple of other traditional towel colors seen in hotels and other business environments include chocolate brown and navy blue. Chocolate Brown has a warm, cozy and friendly feel that often makes people feel at ease. Navy blue can add a sense of refinement, class, and sophistication. 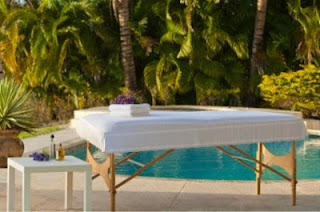 When someone visits a day spa, he or she might want to have a massage while reclining on a soft table. An aesthetician will want to protect the table’s thin mattress with flannel massage sheets that are easy to wash and dry between clients. It is possible to find flat or fitted flannel sheets that are the perfect size for massage tables, and an aesthetician can also choose attractive colors such as white or camel. In some cases, a day spa will have extra-long massage tables for taller clients, and it is easy to find longer flannel sheets that will fit properly. Customers love relaxing on soft-brushed flannel fitted sheets in the wintertime to remain warm, and an aesthetician can drape a client with a flat sheet for privacy during a massage. 100 percent cotton is what these specialized Massage flannel sheets are made of, and this is a fiber that seldom leads to allergic reactions such as itchy skin or sinus congestion. When an aesthetician chooses flannel massage sheets that have soft fibers on both sides, it is easy to place a fitted sheet on the massage table or to toss a flat sheet over a client. At Hot Temperatures stains can be removed from Flannel Sheets. Some day spas only want to use flannel sheets in the winter. However, some clients enjoy the soft feel of the fibers and would be an excellent idea for an aesthetician to offer this style of sheet year-round. Each flannel fitted sheet has an elastic edging that makes it easy to place on a massage table, and the flannel fitted sheets have wide hems. Buying commercial flannel sheets for massage tables is a great investment because the items will stay in perfect condition despite multiple wash and dry cycles in hot temperatures. Bulk quantities of massage table sheets are less expensive, and customers can order 12 flat or flannel fitted sheets to have enough for an entire day’s worth of clients.